The Save the Words website aims to preserve words that are in danger of falling into disuse. While some words should perhaps be allowed to sink without trace, others are well worth preserving. 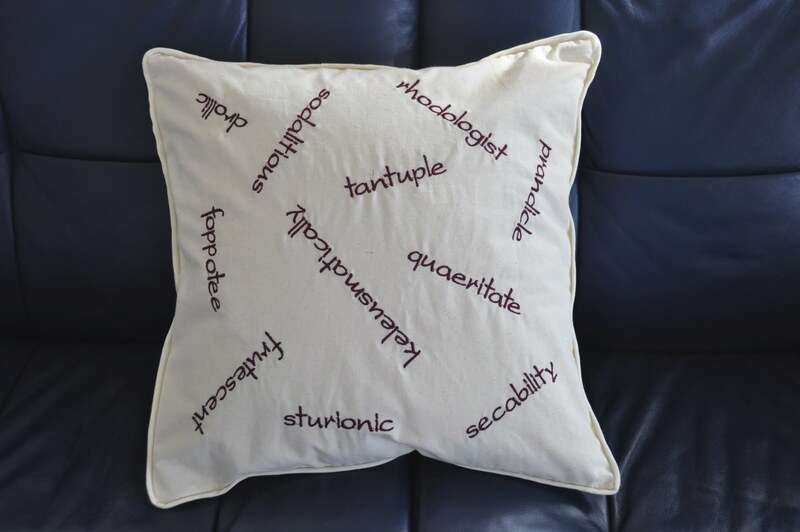 In any event, the website was the inspiration for these cushions. 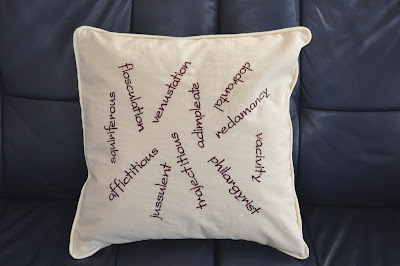 My friend, Chris, who alerted me to the existence of the Save the Words site, recently did some major renovations to her house and I decided to combine her love of words, my new 5D software and my Husqvarna Diamond Designer machine to make a house-warming gift with a difference. I was still toying with the idea when she rang and invited us to dinner tonight, so the project catapulted up my priority list. 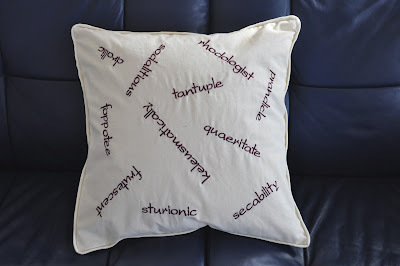 I'm still learning how to use both the software and the machine - and to get them to talk to each other - but, despite a few teething problems, I managed to produce these cushions. 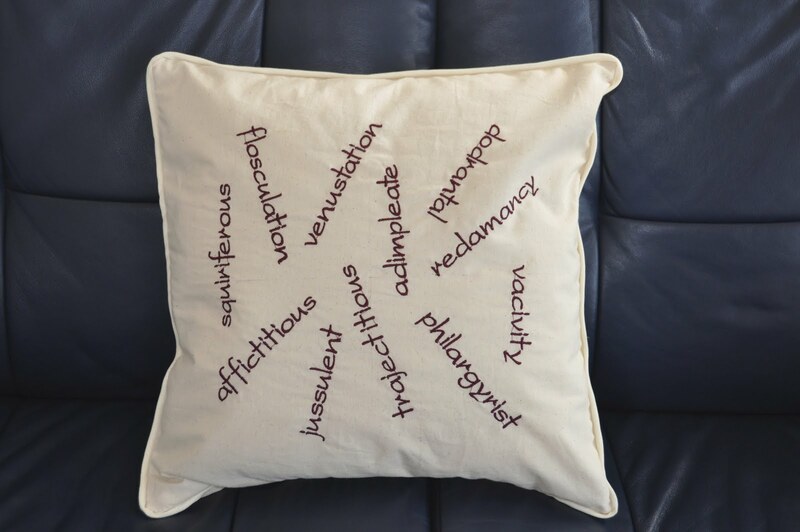 The first cushion includes such delights of the English language as dodrantal, redamancy, flosculation, affictitious, trajectitious and vacivity. The second features keleusmatically, tantuple, rhodologist, drollic, frutescent and secability, as well as other equally arcane words. I recommend a visit to Save the Word for meanings and further endangered words. Fabulous gifts. I will check out that website, thanks for the link. Wonder if that is where Blogger gets some of its word verifications from!